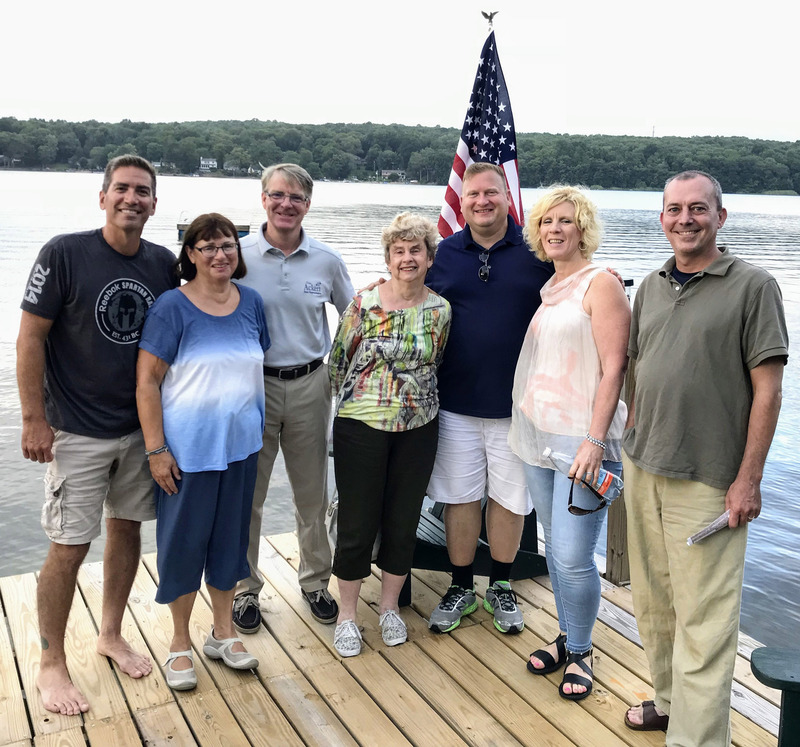 COVENTRY – In conjunction with Connecticut’s Lake Awareness Week and Coventry’s Lake Awareness Month, State Representative Tim Ackert (R-8) spent an evening on a guided boat tour in an effort to better serve those who watch over the 8th District’s largest lake. The purpose of the tour was to not only help raise awareness to the protection of the local lakes and natural resources, but also for Rep. Ackert to touch base with resident volunteers and those taking care of the area in order to see how he could continue advocating on their behalf. “As someone who enjoys kayaking and fishing, we are extremely fortunate that within the 8th District there are places like Coventry Lake where residents and visitors can also enjoy a vast array of outdoor related activities,” Rep. Ackert said. Coventry Lake, also known as Wangumbaug Lake, is a man-made body of water with a surface area of almost 380 acres, a shoreline of about five miles, and contains 2.7 billion gallons of water. The lake has an average depth of 21 feet with its deepest point reaching to almost 40 feet deep. For almost three years the lake has been battling hydrilla, one of the world’s most invasive aquatic plants. In order to avoid spreading the plant, it is recommended that you inspect your watercraft and trailer before entering and exiting the lake, especially those areas that stay wet. According to the Connecticut Department of Energy & Environmental Protection, you should also clean, drain, and dry all water from your boat or watercraft. When fishing do not dump your bait bucket or release live bait into the lake and release any fish caught back into the waters from which they came. “It is not only the responsibility of those within the legislature to protect our lakes, streams, rivers and forests, but also a shared responsibility of those who visit these places to invest in their preservation for future enthusiasts to enjoy as well,” Rep. Ackert said.